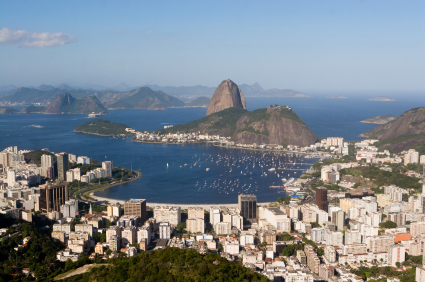 Brazil is one of the most popular destinations for students. The country features a surprisingly wide array of ecosystems including the most famous rainforest areas in the world: the Amazon. However, a grand spectrum of options is availlable, a combination of ecotourism and adventure travel are available, as well as historic and cultural tourism. These all add to the overall educational experience. But let’s not forget the beaches, mountains and celebrations for that needed break from studies, and an introduction to a mix of diverse ethnicities. The Benjamin A. Gilman International Scholarships offers grants for U.S. citizen undergraduate students of limited financial means to pursue academic studies abroad. Such international study is intended to better prepare U.S. students to assume significant roles in an increasingly global economy and interdependent world. Award amounts will vary depending on the length of study and student need with the average award being approximately $4,000. Up to $5,000 in awards is available. The David L. Boren Scholarships provide up to $20,000 to U.S. undergraduate students to study abroad in areas of the world that are critical to U.S. interests and underrepresented in study abroad, including Africa, Asia, Central & Eastern Europe, Eurasia, Latin America, and the Middle East. The Institute for the Study of Latin America and the Caribbean at the University of South Florida extends an extremely generous “full tuition” scholarship for qualified students wishing to study in Brazil and other internatonal locations. Preference is given to students specifically majoring in Latin Studies and eligible applicants must possess advanced Spanish skills. Rotary Internationalis one of the world’s most well respected philanthropic and humanitarian organizations. The Rotary is known the world over for their extremely generous and highly competitive scholarships. The Ambassadorial Scholarships are awarded to outstanding students interested in studying in an abroad program with either a focus on peace studies or a humanitarian project. The 2010-11 class of Ambassadorial Scholars received US$9.6 million through individual grants of $25,000. Since 1947, a total of $532 million has been awarded to 41,000 men and women. Recipients are expected to share their experience in Brazil with a Rotary audience when they return. The Rainforest Alliance is a world leader in conservation and sustainable development of rainforest areas of Latin America, including the well-known Amazon rainforest of Brazil. The organization sponsors the Kleinhans Fellowship, an opportunity for graduate and post grad students and researchers to work on highly focused projects in Brazil. Applicants must be heavily invested in tropical forestry, sustainable agriculture or a closely related area to qualify. Fellowships are for a two-year stint with the Alliance. Robert B. Bailey Scholarships are highly competitive and awarded to those most financially needy. The CIEE Global Access Initiative (GAIN), was created to help students overcome major barriers to study abroad, namely, costs and curriculum requirements. Each year, CIEE provides $1 million in grants and scholarships to expand access for students to full-year, semester, and summer study abroad programs. John E. Bowman Travel Grants are awarded to those going to “non-traditional” regions, including Brazil. All awards are $1,000 and are intended to help defray the cost of travel. Several other scholarships and grants are available through CIEE. CIEE Scholarships are general and awarded to a wide range of students.